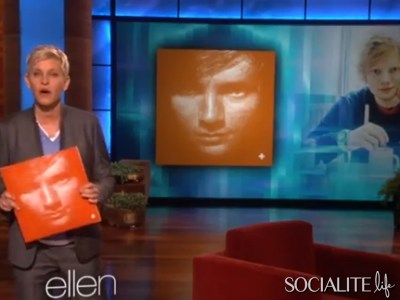 Its still weird to see my work around town for +, but the other day I was online an saw Ed on Ellen’s show. Ed did the most incredible performance of A-Team and in the clip you can actually see Ellen holding the work which was a shocker. Here’s the performance. Ed Sheeran Performs ‘The A-Team on Ellen And a huge thank you to @nardwuar for giving me a shout out on another interview with Ed. Nardwuar is a really funny guy who know his stuff, follow him at @nardwuar doot doot!